A good chunk of my novel takes place in the 1920’s, and when I heard about a silent movie playing in Boulder, I thought it would be a great opportunity to do some research. Notebook in hand, I couldn’t wait to snag details on the clothing, furniture, and music of the era that would help bring my scenes to life. Buster Keaton starred in and directed the film I was about to see. The General premiered in 1926, toward the end of the silent film era, and is still considered by critics as one of the greatest films ever made. I found this out after the fact. That night, I had absolutely no idea what I was in for. From the minute the first chords rumbled out of the piano, I was hooked. I don’t know what I was expecting, but I sported a silly grin through the entire movie, totally forgetting to take notes. I was blown away with the actors ability to tell intricate, complicated stories just with body language and facial expression. Enhancing the mood was an off-the-charts brilliant pianist who played in the dark, without a score. I was completely transfixed and entertained right down to my toes, by a film that was eighty-flipping-five years old. After it ended, my friend Jenn and I walked out into a torrential downpour, the streetlights smearing in the rain and audience members running to their SUVs and mini-vans. It took a few rain-soaked minutes for me to snap back to this century. I was certain of one thing. I’d just fallen knees over teakettle for Buster Keaton. I proceeded to google-stalk the stone-faced actor with the pork pie hat and world’s most expressive eyes. Harry Houdini gave him the nickname after he’d taken “quite a buster” down the stairs as a toddler. Buster performed with his parents in a vaudeville act through his childhood, learning quickly that the more serious he acted, the more laughs he got. What amazes me about Keaton, is not only his comedic prowess and directing talent, but his athletic genius. He did all his own stunts, including jumping off and on runaway trains, in and out of burning buildings, tumbling off ladders, etc. There were no special effects or stunt doubles in those days. Buster did it all. It wasn’t long before I dragged my family to the Denver Silent Film Festival. There was considerable eye-rolling from my son, who couldn’t fathom why anyone would want to watch a movie with no talking. And in black and white. But no one in that theater laughed harder than Sam once Buster slipped on a patch of oil. I’m talking hard belly laughter here — the contagious kind — and pretty soon the two of us were crying in hysterics, and I knew I had a partner in crime. Thanks to Netflix, we’ve experienced Charlie Chaplin and Fatty Arbuckle, too. My PC kids are mortified that anyone could’ve had such a nickname, and whenever they say, “Fatty,” their eyes go big, like they’ve just said a bad word. Convenient as it is to rent those DVDs, the canned music often detracts, as does the grainy quality. Silent movies should be experienced in a theater. There’s something magical about being in that atmosphere — the live piano music surrounding you, real laughter from an audience enjoying the experience just as much as audiences did nearly a century ago. It’s a little like stepping back in time. Silent film festivals exist across the nation. Here in Colorado, the Chautauqua Silent Film Series has been showing silent movies for the past twenty-five years in the Chautauqua Auditorium — a venue which housed them the first time around. How cool is that? Newer to the scene is the Denver Silent Film Festival, which was so popular last summer, many of the nights were sold out. Maybe there’s a resurgence in the art form, with recent movies like The Artist (Golden Globe winner for Best Picture) and Hugo. Lucky us. I didn’t know what I didn’t know about the great Buster Keaton. If you get the chance to see one of his films in the theater, treat yourself and go. You won’t regret it. 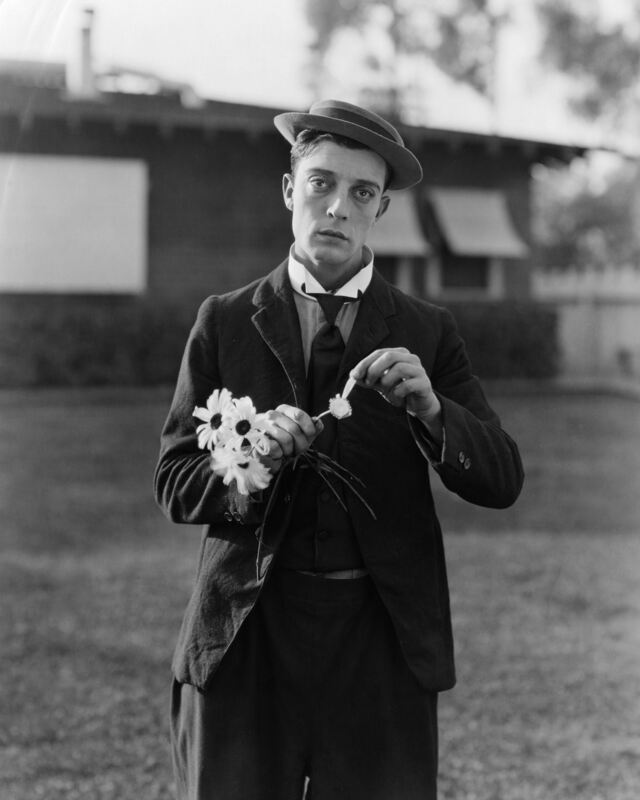 This entry was posted in Uncategorized and tagged Buster Keaton, Chautauqua Silent Film Series, Denver Silent Film Festival, Fatty Arbuckle, Silent Films, The General by Beth Christopher. Bookmark the permalink. I am ready to go now Beth!! Let’s go together sometime! My grandmother used to play the piano/organ for the silent films in her hometown… she was amazing!! The music really added to the experience. It sounds like you’ve found a new pastime. My grandmother used to play for silent films, too. I wish I could have heard her play, but by the time I came around, her hands were too arthritic. You’ll have to check out the Chautauqua series, if you haven’t already. You’d love it! Here’s a really interesting article about silent movies. It gives tips on how to enjoy silent movies if you aren’t used to them and it also has a list of recommended movies to get started with! I hope you enjoy it! Thanks so much, Margaret! I’d love to reblog this, especially as “silent movie season” is almost upon us here in Boulder. Please feel free to spread it around! I spent a lot of time on it, so I hope it’s helpful. And man, I am so jealous – wish we had “silent movie season” out here! I shall have to remedy that myself, I think!